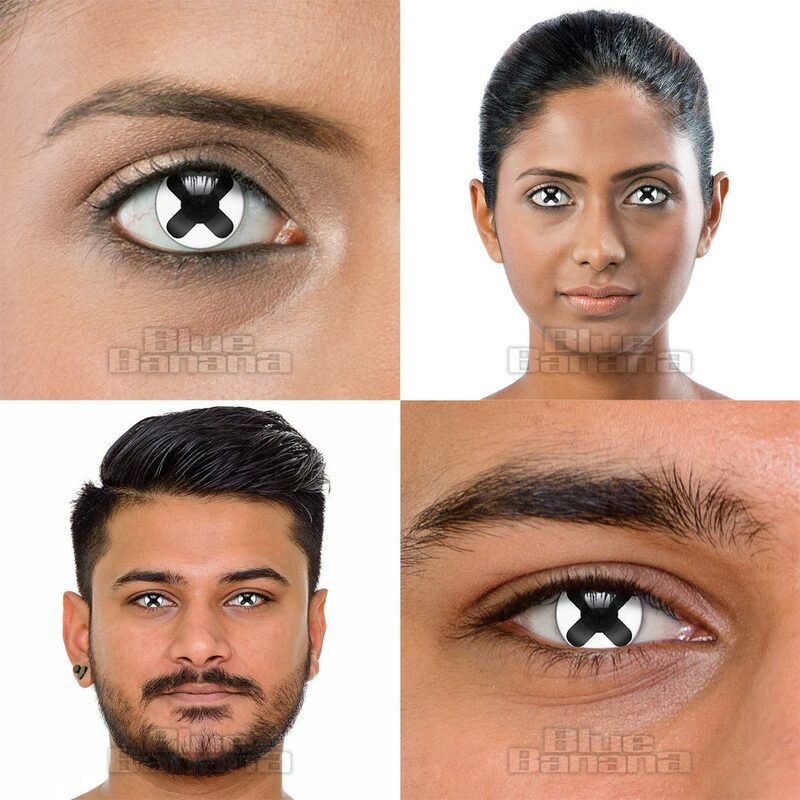 When clicking on the button below you will be taken directly to www.colouredcontacts.com to complete your purchase. 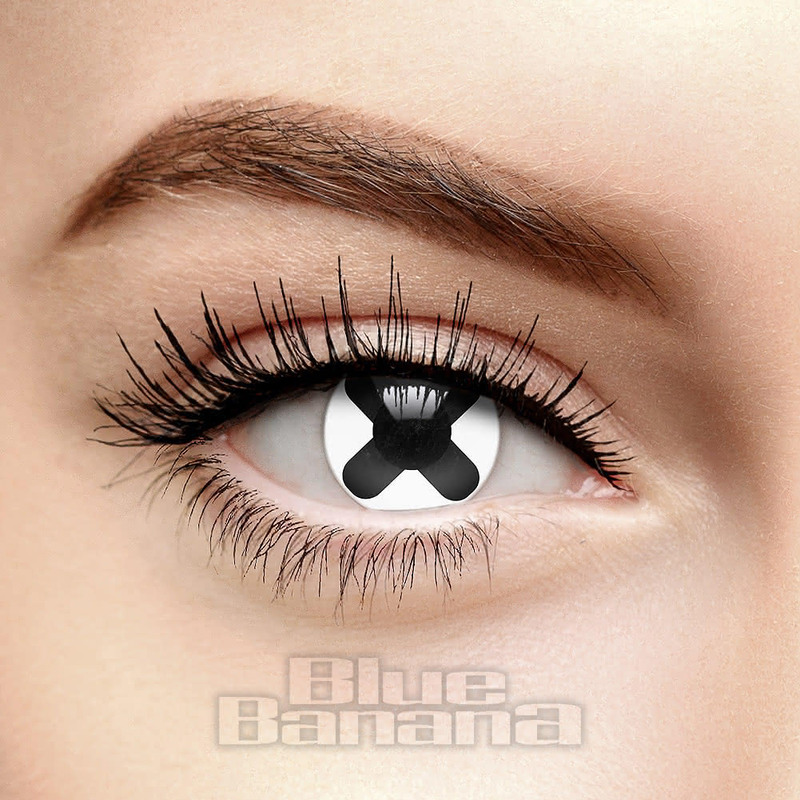 When clicking on the button above you will be taken directly to www.colouredcontacts.com to complete your purchase. Our Blue Banana Trusted Store status shows a website adheres to our strict rules and guidelines. This guarantees they have a dedication to quality and top customer service. 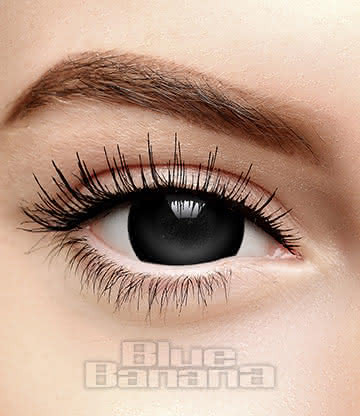 Complete all kinds of outfits from Halloween fancy dress to full Cosplay looks with these costume lenses. Ideal for parties, events and conventions. Packaged in sterile, buffered and isotonic saline solution these contacts will be stored securely away from bacteria. This product has passed the FDA’s three-tier screening process and is fully FDA Approved. This ensures the safety, effectiveness, quality and security of this product. 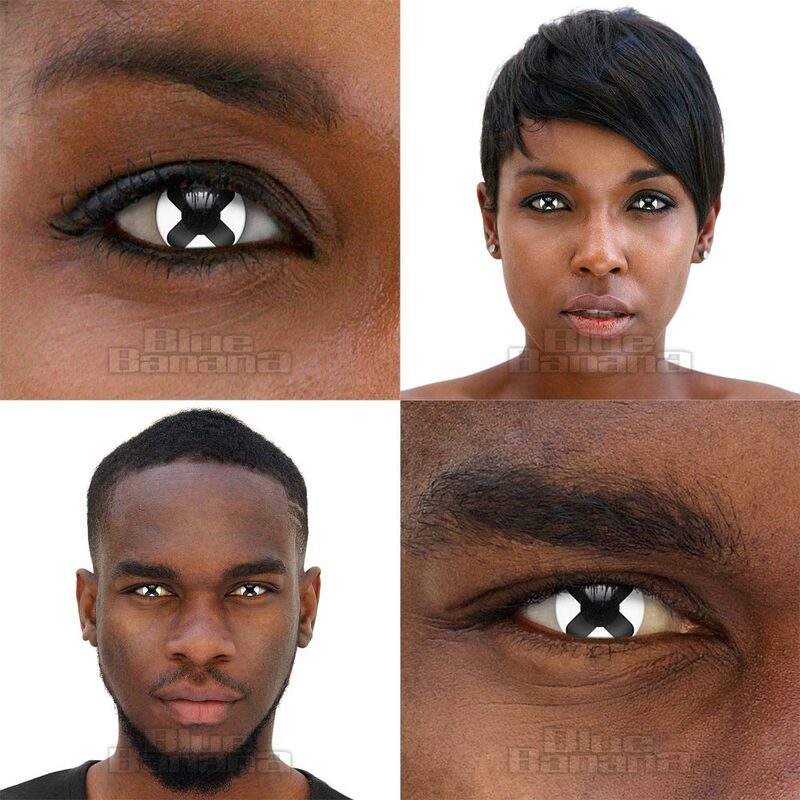 Get yourself a spooky new look with the Cross 90 Day Coloured Contact Lenses in Black! Featuring a unique cross design, these lenses are sure to turn heads! 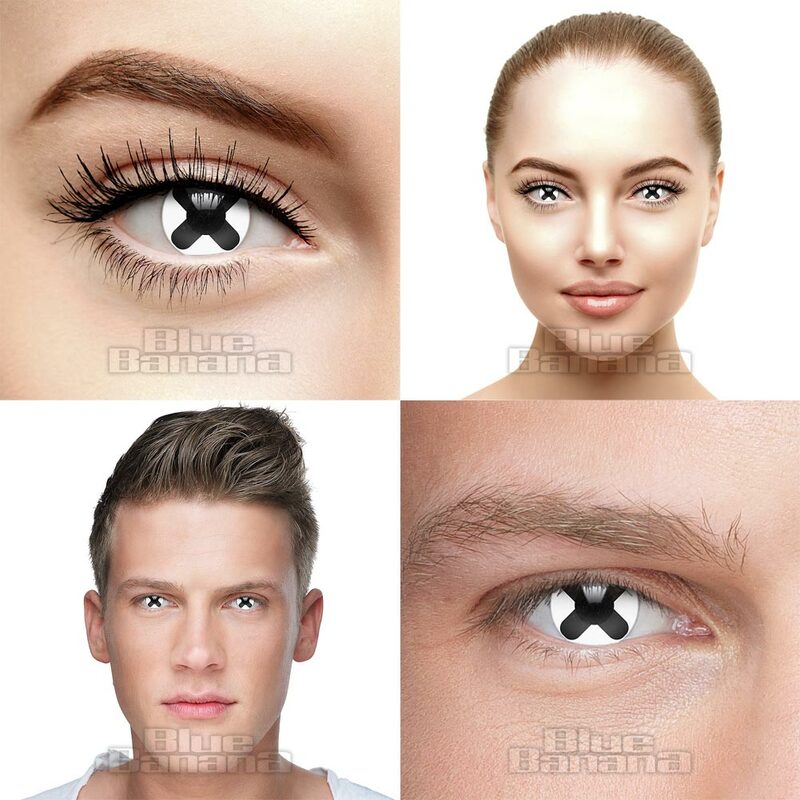 Perfect for all your fancy dress or cosplay inspired plans, these FDA-Approved lenses are perfect combination of both comfort and style. Sure to ensure that your look stands out from any crowd, these 90 Day duration lenses are guaranteed to become your next go-to accessory! So, what are you waiting for? 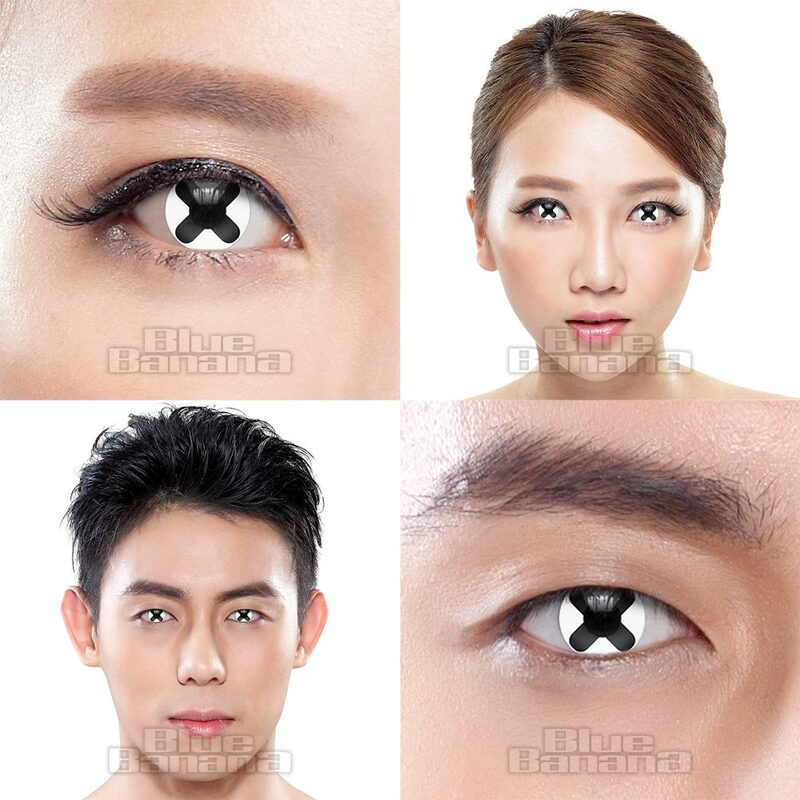 Get the Cross 90 Day Coloured Contact Lenses now! 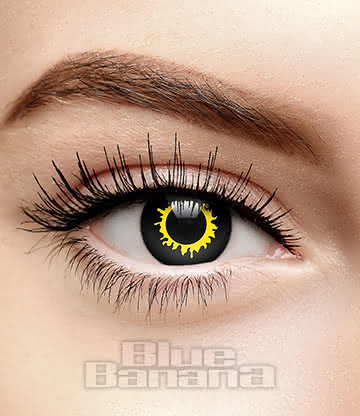 Please note: These lenses may partially obscure vision, and should not be used while driving. 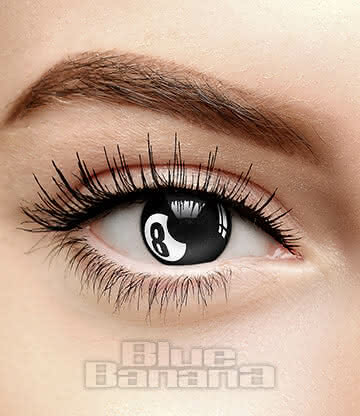 The above product is not sold by Blue Banana, but is part of the Featured Products Advertising Program. In this program, we act solely as an advertising medium, helping to promote a wide range of third-party websites and products, which we believe may be relevant to our own visitors. As part of this program, we ensure that we are completely clear and conspicuous about our role in both the advertising of these products and the ownership of the third-party-websites we promote. By clicking on any of the links above to view or purchase this featured product, you will be taken directly to www.colouredcontacts.com. This website is owned, operated and its products are sold by Arcadant BV. Arcadant BV is registered in the Netherlands (KvK number 63027879, BTW number NL855061479B01) and is governed by the law of the Netherlands.